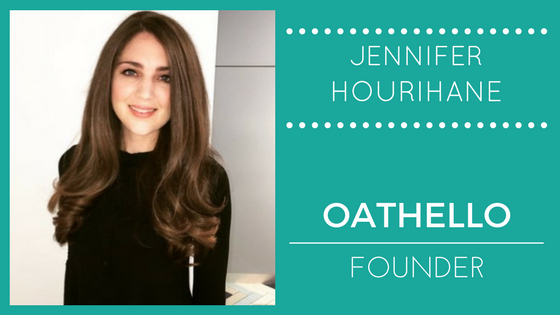 Oathello’s founder talks about merging the digital world to the law world! We’re merging the digital world to the law world to increase efficiency. Legal process is very slow, but that doesn’t mean there isn’t space within the law community to change and embrace change. With Oathello, we’re condensing everything – sourcing a lawyer, payment, admin work – into a simple procedure. How did you make the decision to leave your secure job? As a lawyer, I would constantly have to make an appointment with third party lawyers to get things notarised and found the process quite dated, time consuming, and unreliable. So it was a simple case of scratching your own itch! I was always interested in how the digital world can cross over, and help spend precious time wisely. What was the first thing you did after spotting the opportunity? I spent a lot of time just thinking and writing. It’s so important to just write down your ideas. Once the penny dropped with Oathello then, the next step was to get chatting to people and bringing people in. How did you embed yourself in the tech startup community? It’s definitely down to good communication. I started talking about the software with Dermot Daly. The most important advice for anyone with an idea is not to covet it, because if you don’t test your idea and talk about it, it won’t develop naturally. You’ll need to identify your weaknesses, any loop holes in your ideas. What’s your advice on building a tribe? Talk and learn – embrace people in the tech community. You’re nothing in business without people around you, but then again what do they need? When you’re trying to build a network, it’s important to know what they need. When you’re talking to someone about your tech product, they’re just going to assume that it all works. If you can offer them something that they don’t already know as experts in their field, and being truly interested in adding to their knowledge portfolio, then you’ll have their attention. Knowledge is key – and then offering something of value to people. Were you always interested in working for yourself? Oh definitely, from day 1! Law is very exciting, because its where commerce and people intersect. It’s a lot about personal affairs – which tend to be business and money lead – such as wills, commercial issues etc. Lawyers tend to get a bad rap, but there are many decent, entrepreneurial lawyers working out there. What does a great life look like to you? Full of variety and learning! To go about your life not having to worry about the noise, to have compassion and empathy in your life and in business, and spend it with people you love. Ultimately it involves people that you love, your tribe.